Stain resistant: rinse it in the water, it will become brand new. No worry about it being mouldy like wooden holder. Scratch resistant: it contains 30% black iron stone, sturdy and scratch resistant. Rustproof: matte metal material won't get rusty (it's better to dry it immediately after cleaning). No deform: the holder is very strong, it's hard to be deformed by squeezing or falling. Semi-surrounded design: unique semi-surrounded design allows this holder to hold both round and square coasters, meeting your different demands. Large dimension: 4.5-inch, which means it can store coasters in all sizes less than 4.3-inch (no matter what material), and there's enough space for you to take out them easily. Large capacity: super storage ability, it can hold up to 12 LIFVER coasters at the same time while you put the coasters in it vertically. What you can get: a 4.5 inch black iron coaster holder which can accommodate 4/4.3 inch round and square coasters made of any material in the market. There's enough space for you to take out coasters easily. 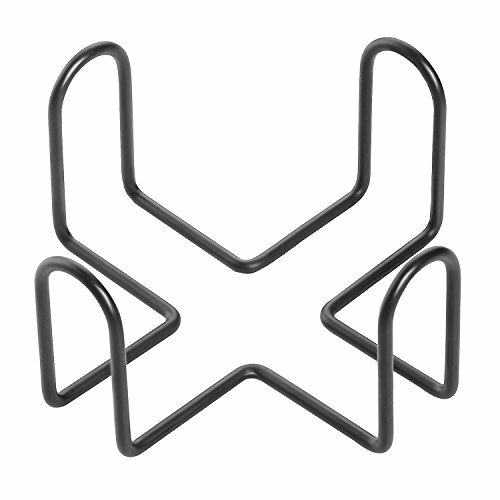 Semi-surrounded design: simple and unique design allows this iron holder to hold both round and square coasters. One holder to meet your different demands. Easy to care: matt black metal material is stain resistant and scratch proof, and won't get rusty. Time-limited promotion: buy the Lifver mandala coaster set now, only need plus $3, you can get a Lifver coaster holder. ASIN:B07DGCK272,Code：LIFVER002. If you have any questions about this product by Lifver, contact us by completing and submitting the form below. If you are looking for a specif part number, please include it with your message.